Where have you been Chardy Girl? I’ve been to Australia, sampling chardonnays from one side of the country to the other. And I’m so excited to share more about my adventures! But today, I want to tell you about a wine I tasted in the Mornington Peninsula just outside of Melbourne, Australia. This is one of the prettiest wine regions in Australia. This area has it all – beaches, sun, and wine tasting. 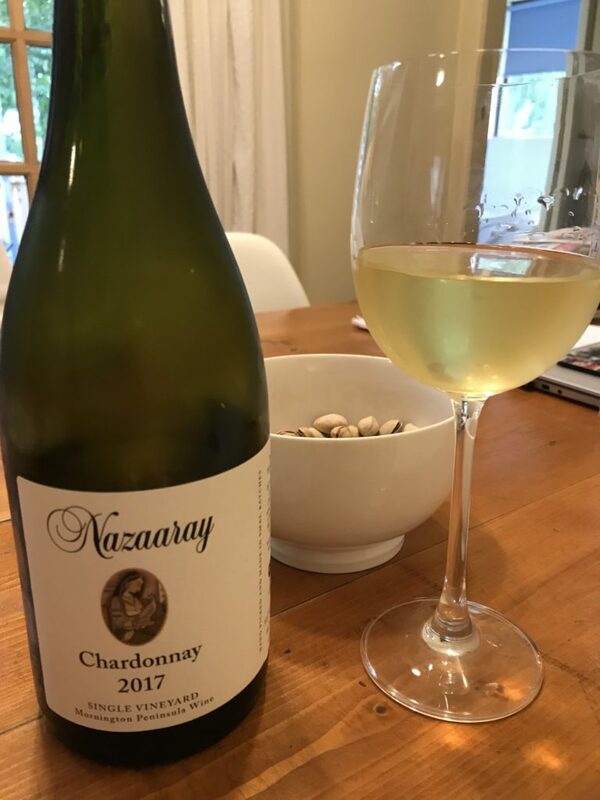 We rented a house from one of the local wineries in the town of Rosebud – Nazaaray – and they left a bottle of chardonnay for us as a welcome gift. How could they have known? Australia’s chardonnays are typically lighter in flavor and body than the California chardonnays I’m used to. This one is lightly toasted oak with a hint of vanilla in the nose. So far so good. The body is light, the wine is clean, and the color is pale straw yellow. It has a soft mouth feel with a smooth finish. My fellow wine drinkers agreed, it’s elegant and clean. It was aged for over 10 months. Malolactic fermentation was part of the process. The chardonnay sells for $45 Australian dollars or about $32 US dollars. The winery itself is gorgeous. If you find yourself in the Melbourne area, I highly recommend a visit to the Mornington Peninsula. You’ll love the wines, the beauty of this region, and the close proximity of the wineries to each other and to the beach towns of the Peninsula.